Can Calipso Collonges get Olly's weekend off to a winning start? "I have been really looking forward to running this mare on ground with a bit of give underfoot so thankfully we have had some rain." This guy never stopped improving last year, winning on four of his five starts over hurdles, over trips between 2m2f to nearly 3m and went up a total of 33lbs in the process. Strictly on hurdle ratings he is wrong at the weights with six of these. This has the look of an above average novice chase for Bangor but he will love the bit of ease in the ground and he ran over fences in France as a four-year-old and has schooled very well at home. We gave him a wind-op since his last run at Cheltenham back in April which he should benefit from but this will be a completely new experience for him and he will definitely come on for the run. I was very pleased with Some Kinda Lama's first run for me at Hereford back in October when second to Marble Moon in a three-runner handicap hurdle - with the first two pulling well clear of the third - but he subsequently disappointed when sent off favourite for a Sedgefield novices handicap chase. There was no real excuse for his that day so I'm just hopeful this more galloping track and slower ground will play to his strengths as I know he has ability, but I'm beginning to think his attitude is questionable. After Aspen is another of mine that should show the benefit of a recent wind operation and he has a lot to advertise his claims here. He won at first time of asking for us after arriving from Liz Doyle's Wexford yard and the ground was heavy that day. So, we know he will like the prevailing underfoot conditions he is likely to get here and runs well following a break. The trip - three miles - is another plus. The horse seems in very good form at home is fresh and well and has a decent each-way chance. On Parole showed nothing when trained by Tom George in a bumper at Warwick back in April before transferring to me. Having said that, the race is working out well but he was beaten a long way that day. On his first run for the yard, again at Warwick, he didn't get very far when unseating Brendan Powell at the first so, unfortunately, we didn't get the opportunity to learn an awful lot about him there. This looks a competitive race and he may be one for handicaps further down the line. I thought Vamanos ran well in both the bumper and novice he has contested to date. The winner of the novice hurdle in Straford, Seddon, was third in a very competitive Supreme Novices' Hurdle trial at Cheltenham and was sent off favourite for the race. My horse, Itchy Feet was third so I think that's pretty useful form. The slower ground will help him and Bangor will play more to his strengths than Strafford. He is a horse that will improve with time but he's not without an each-way chance here. Finawn Bawan was a bumper winner for us at Ayr back in May and had a very good first run over hurdles in Sandown earlier this month when third in what looks a very warm novice event. 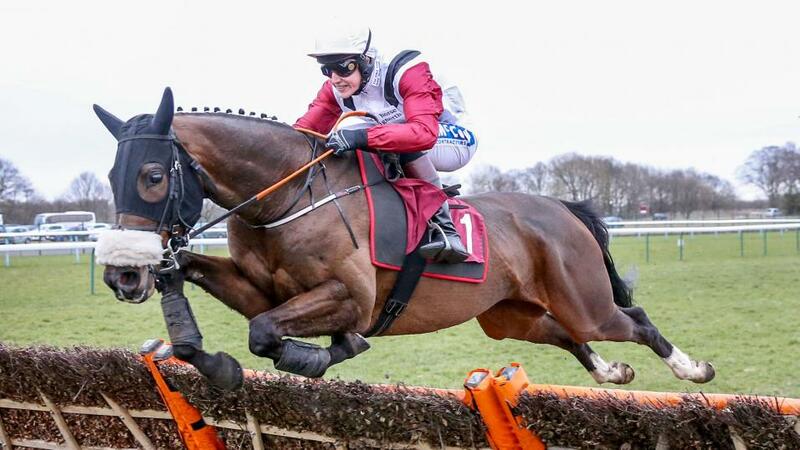 The fourth horse that day, Star Of Lanka, has won a novice hurdle in Hereford by 12 lengths since and its always encouraging when the form gets a boost like that. He will have come on for the Sandown run and seems in very good form at home. The step up in trip should also suit him and I would consider him one of my best chances of a winner this weekend. I have to say I was disappointed with Corinto on his only start for me at Newbury as he was working well at home. I'm stepping him up in trip straight away - Newbury was 2m it's nearly 2m4f here - and the slower ground will help his cause. Having said that he would need to improve considerably to figure here. Bucaneros ran a lovely race at Newbury when staying on well. That race should have sharpened him up and the step up in trip will help. He is a horse who could run well at a big price. I have been really looking forward to running this mare on ground with a bit of give underfoot so thankfully we have had some rain. She has had three runs since joining me form Joseph O'Brien and her latest at Strafford, when beaten 14 lengths by Canford Thompson over 2m was decent considering the step up in trip - nearly 3m here - should really suit her. As this is a race for 'Conditional' jockeys Cillin Leonard - a young lad in the yard who rides well - will be in the plate and claim 8lbs off 11st9lbs. She has a very big chance.